The former public house, the White Swan sits off the market square, in the centre of the historic Derbyshire town of Bolsover. Next to the White Swan is the 19th century Bank House. The project is to treat the two sites as one for residential development. The site sits within Bolsover’s Conservation Area and although not listed both the White Swan and Bank House are considered to be of architectural merit. The project proposes that the ground floor of The White Swan and Bank House be used for retail uses, maintaining the activity within the market place. The upper floors of the two buildings will be converted into apartments. 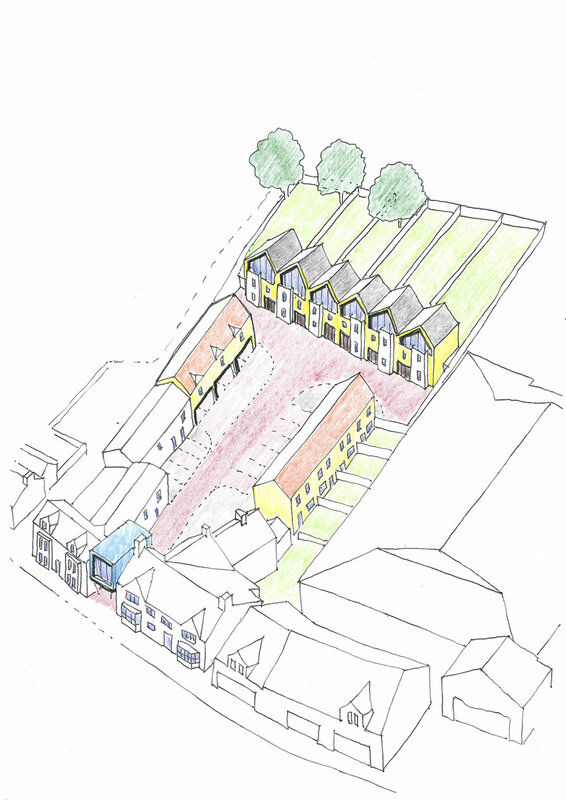 To the rear of the two buildings, the former car park and yard areas will become the site for ten 2 to 3 bedroom houses. Architecturally the new buildings will respond sensitively to the existing buildings, but not sink into being a pastiche.